When Supernatural first premiered way back in 2005, none of us probably thought that it’d still be churning out new episodes over a decade later, but here we are. Having spawned a cult following and conventions devoted specifically to it, the fan favorite horror series chronicling the adventures of Sam and Dean Winchester is still going strong, with a thirteenth season set to commence this October. Not meaning to get ahead of ourselves, we’ll reflect on what made this past year stand out, namely the resurrection of the boys’ mother, Mary. Seeing her try to re-acclimate to a world she’d been absent from for over 30 years by diving back into the hunting lifestyle made for some interesting television. Not only that, but she got mixed up with the British Men of Letters, serving as an oversized B-plot. More exciting than that was the extended stay of Lucifer that saw him inhabit a variety of vessels, from rock star Vince Vicente to the President of the United States, before finally finding his way back to one resembling returning actor Mark Pellegrino. Along the way, he happened to sire a child, thus planting the seed for the series’ future. 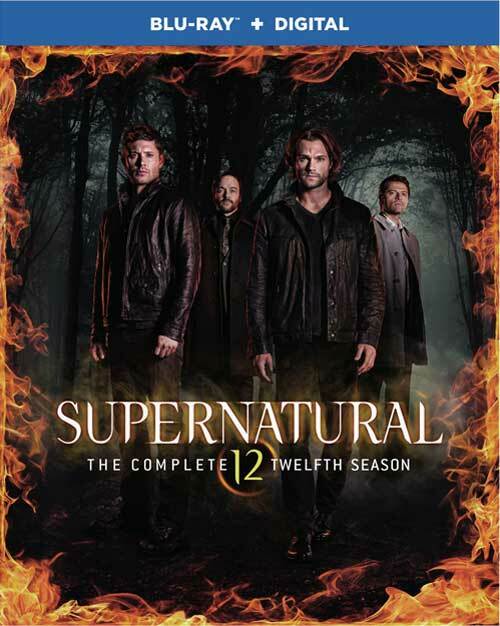 So, if you’re one of the many to play catch up or already happen to be a devoted follower looking to beef up their collection, you’ll be happy to know that Supernatural: The Complete Twelfth Season is scheduled to arrive on Blu-ray and DVD on September 5. A full rundown of episodes and bonus features to be included can be found below.